Mindfulness practice has been scientifically shown to decrease anxiety, improve sleep, heighten productivity, and increase overall sense of well-being. Apps can help us attain these benefits by providing structure and guidance to our practice. We tried out the most popular mindfulness apps and chose our favorites to recommend to you. For the beginner: Headspace walks you through your entire mindfulness journey step-by-step. 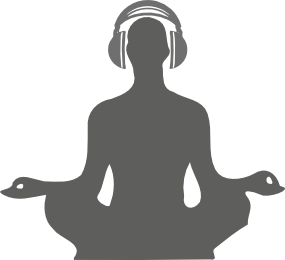 Narrator Andy Puddicombe teaches you the basics of mindfulness and then slowly introduces longer and more advanced meditations. After completing a 30-day foundation course, users can choose themed packs in areas such as “anxiety” and “creativity.” To keep you on track, the app displays your progress and sends reminders to sit as designated times. You can try it out for 10 days for free, and afterwards it is $14 per month or $93 for the year. For the occasional user: Stop, Breathe, and Think is for those who would rather meditate spontaneously than have a regimented practice. When you log in, the app asks how you are feeling and suggests meditations that match your mood. Most of the app’s services are free, and you can purchase bonus guided meditations like “Falling Asleep and “Dealing with Anxiety” for a dollar or two each. For children: Smiling Mind is a mindfulness app with services specifically geared toward children. Mom and Dad can rejoice, too, because the app is completely free. For staying present off the meditation cushion: Chill – Instead of guiding formal meditation practice, this app sends the user “Mindfulness Reminders” to come back to the present moment throughout the day. Additionally, Chill provides a unique quote to enjoy and contemplate every day.